Large windows are perfect for filling your home with natural light, but they can present a challenge when trying to choose window treatments. With a multitude of customization options available in materials and control types, we recommend our Roller and Solar Shades. 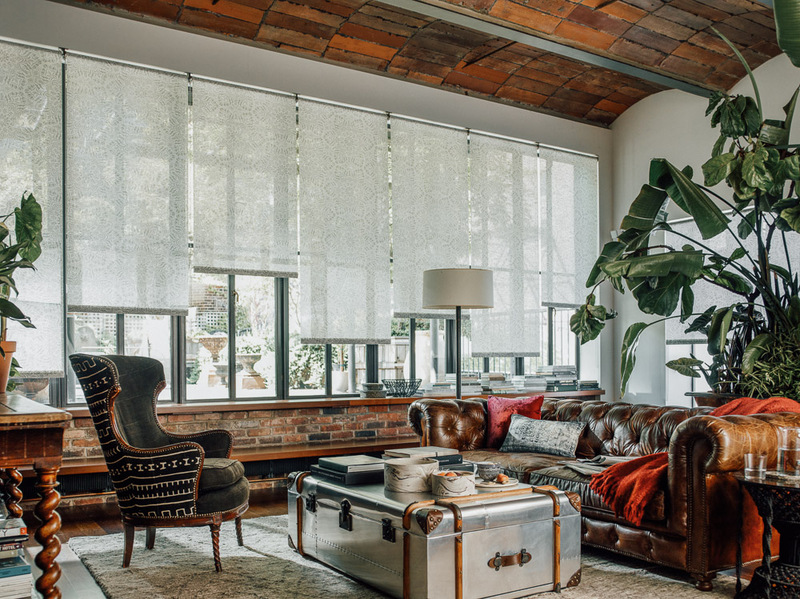 Whether you have a single large picture window, a wall of windows, or a wall of glass doors and windows, we’ll share with you our favorite shades and ways to dress those big spaces. Large shades need to be sturdy enough to hold the weight of the material while still remaining functional. 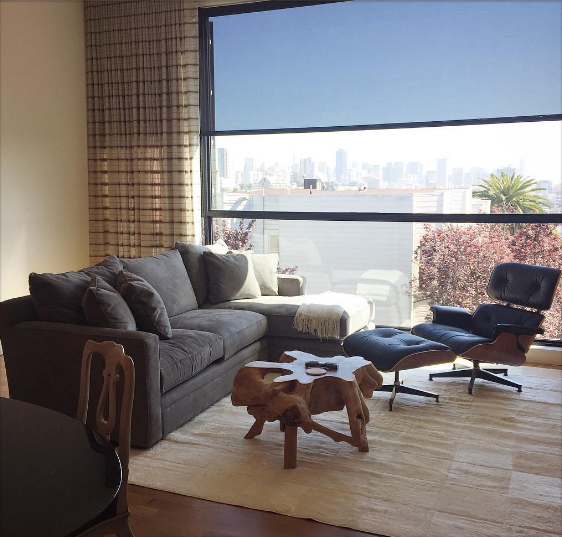 If you have a gorgeous view, you also want the ability to make your shades “disappear” so you can enjoy the point of that big window. 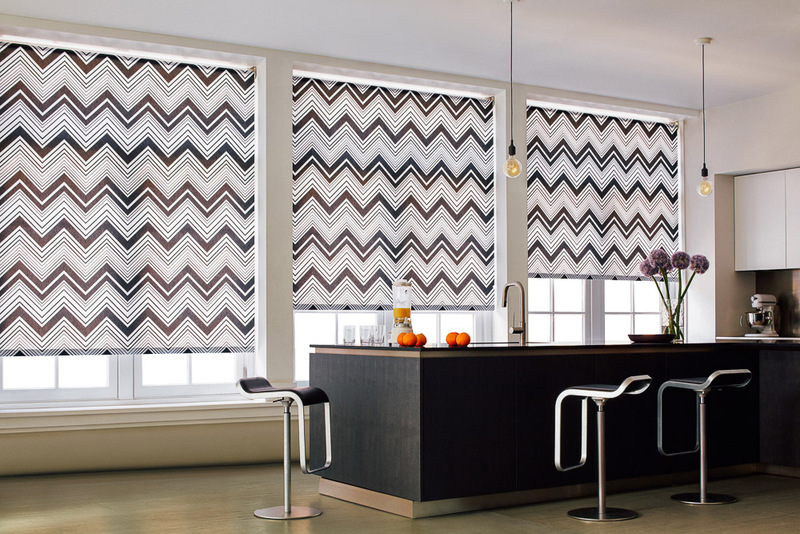 Roller Shades and Solar Shades are an ideal choice for these situations. With every shade custom made to your measurements, we can help you create the perfect shade with wide widths and lengths. These shades can stretch up to 12 feet wide and 12 feet long, in increments of just ⅛ inch. Shades wider than 104 inches shades automatically receive our Continuous Loop – Lift Assist, meaning you won’t have to struggle with raising a heavy shade. Our sewn-in bottom bar ensures your shades will hang beautifully with no creasing or flapping. When raised, Roller and Solar Shades roll up into a small diameter tube at the top of your window, allowing you a virtually unobstructed view from your window. Solar Shades, available in a variety of transparencies, will block damaging UV rays and glare when lowered. For the most visibility when the shade is closed, opt for a 10% transparency, which lets in the greatest amount of light and blocks 90% of UV rays. Learn more about Solar Shade transparencies in The Shade Store 101: Solar Shade Protection. Do you have multiple windows that stretch longer than 12 feet? Never fear, because you can still achieve a cohesive and sleek look with smaller shades spanning the entire width of your windows or wall. Roller Shade hardware is sleek and minimal, making it easy to line up several shades in a row without looking bulky or messy. Open the shades to different heights for a statement piece as in the photo below, or keep them all raised or lowered together for a smooth appearance. Choose our cordless control option to eliminate individual cords for each shade, and lift and lower your shades with a gentle pull. If you need help dressing your large windows, our Design Consultants are ready to help. Visit one of our nationwide showrooms or send us an email at design@theshadestore.com.